Head east from Glenwood Springs in western Colorado today, and you’ll encounter an isolated stretch of I-70 hugging the curves of the Colorado River. But 110 years ago, you would’ve hit “a thriving little city” of hundreds of people living in tents, nestled there between the high walls of the river canyon so its residents could build a hydroelectric plant. 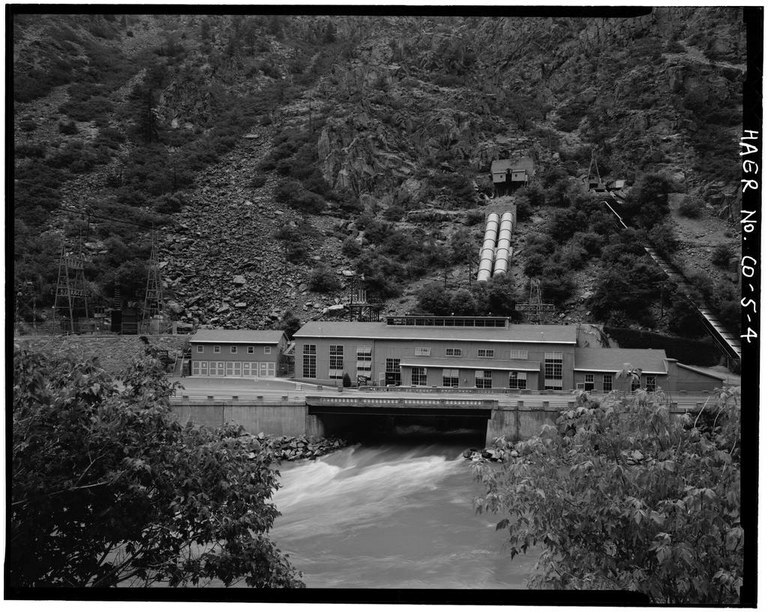 The water rights of Shoshone Power Plant in Glenwood Canyon, Colorado, have been a foundation of Colorado River management since the facility was built in the early 1900s. The water system Shoshone has shaped irrigates crops, supports endangered fish and keeps a nearly $8 million rafting industry afloat. Merely by existing, the plant helps keep the demands of Denver and other thirsty cities in check. In what has long been a source of conflict and compromise among Colorado’s water managers, most of the state’s precipitation falls west of the continental divide, on the Western Slope, separated from the majority of the population by the Rocky Mountains. Since the early 1900s, a series of tunnels and ditches have addressed that mismatch by ferrying water out of the Colorado River basin, supplying cities and irrigating fields east of the Rockies. “The Shoshone power plant has played a dominant role on the river since it first came online,” says John Currier, chief engineer at the Colorado River Water Conservation District. But Shoshone, because it predates those diversions, keeps some water that might otherwise cross the backbone of the continent in western Colorado. In the world of Western water, older rights get first dibs: So Shoshone gets priority, even if that means managers must let water flow past their tunnel intakes. Less water for eastern Colorado means the river keeps rushing downstream toward Shoshone, and people and ecosystems that depend on it. Downstream communities draw drinking water from the Colorado, and growers near Palisade and Grand Junction use it to irrigate peaches and other crops. Keeping water in the river has also been fundamental to a collaborative program to recover four species of endangered fish in the Colorado River. “It comes back to, fish need water,” says Tom Chart, the director of the Upper Colorado River Endangered Fish Recovery Program. Downstream of Shoshone, just above where the Gunnison River empties into the Colorado, there’s a stretch of river where endangered Colorado pikeminnow lay their eggs after spring floods have cleared the cobbles of silt. But human demands on the river tax it so much that during drought, it can get close to drying up. To prevent that, water users and managers work within a tangled web of agreements and rules, looking for ways to keep the river wet. The flows that come down from Shoshone anchor that effort. “I always view Shoshone as our first line of protection,” Reclamation’s Uilenberg says. But that protection hasn’t always been assured: If the power plant needs maintenance or shuts down, it wouldn’t be allowed to exercise its water rights, because water must be put to “beneficial use” under Western water law. To preserve Shoshone’s influence on the Colorado River — to protect the wildlife, farms and economies that depend on it — water districts from both sides of the continental divide formalized a plan in 2012. They agreed upon a protocol for releasing water from upstream reservoirs that would mimic the Shoshone flows should the power plant go offline, effectively preserving the plant’s influence for the long term. Short shutdowns at the aging facility aren’t uncommon, and “hav(ing) that protocol in place to bridge those gaps is key,” Chart says. A separate deal, however, allows reductions in the Shoshone flows. Xcel Energy, the owner of the plant, has agreed to allow more water to go to Denver during dry periods by running just one turbine — cutting the plant’s water needs in half — when certain conditions are met. But crucially, that “relaxation” of Shoshone’s water rights is typically limited to the season when it would be least impactful to others: mid-March through mid-May, when the Colorado is beginning to run high with snowmelt but irrigation and rafting seasons have yet to begin. For its part, Xcel says their interests lie simply in running the plant, not in negotiating battles over water, according to Richard Belt, a water resources senior analyst for Xcel based in Denver. “Shoshone has sort of been a neutral third party there, kind of minding its own business,” he says, a role it has played for decades, through deluges and droughts, major repairs and evolutions in water management — and one which the tiny, century-old plant will likely hold for years to come. Reporting for this story was supported by the Institute for Journalism & Natural Resources.